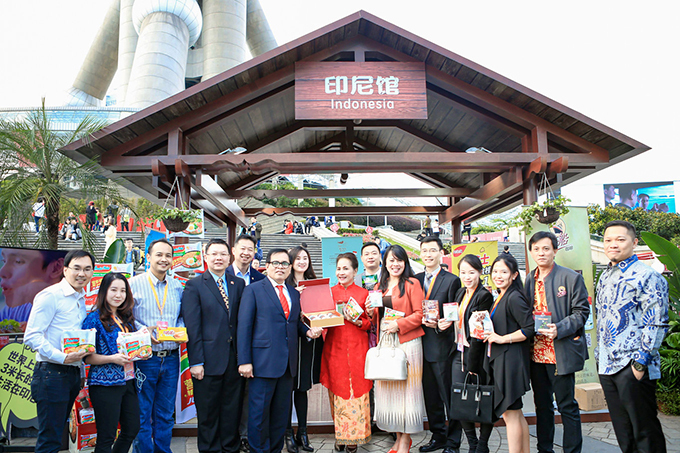 Shanghai, November 2, 2018 - Alibaba Group Holding Limited officially launched the Indonesian Pavilion on Tmall Global today in an effort to raise the brand awareness of the best of Indonesian products among hundreds of millions of Chinese consumers in the run-up to Alibaba’s 11.11 Global Shopping Festival, the world’s largest one-day-sale extravaganza held annually on November 11. In line with its vision of “Making it Easy to Do Business Anywhere,” Alibaba over the past years has undertaken various initiatives to enable the SMEs and young people in Indonesia. These include the opening of Alibaba Cloud’s first data center in the country to empower the its start-up industry, the cooperation between its B2B marketplace Alibaba.com and local partners to help Indonesian wholesalers find buyers from around the world, as well as various e-commerce training programs run by Alibaba’s education arm Alibaba Business School and other business units in the company’s ecosystem. Launched in 2014, Tmall Global (www.tmall.hk) is an extension of Alibaba Group’s Tmall platform that addresses the increasing Chinese consumer demand for international products and brands. It is the premier platform for overseas brands and retailers to reach Chinese consumers, build brand awareness and gain valuable consumer insights in forming their overall China strategy, without the need for physical operations in China. According to Analysys, for fiscal year 2018, Tmall Global was the number one import e-commerce platform in China based on transaction value.